The first launch into space for NASA’s new Orion spacecraft is expected to receive a realigned Spring 2014 launch date, once contract negotiations between NASA and Lockheed Martin are finalized at the end this month. 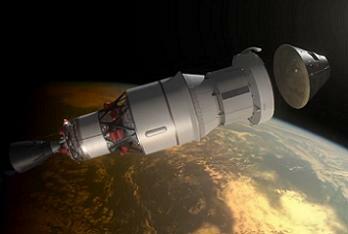 The mission, which will see Orion launched on an uncrewed flight, will be launched by a Delta IV-Heavy. The mission was initially targeting for July, 2013 – before slipping to October, 2013 – per Lockheed Martin updates relating to the EFT-1 launch date (L2 Link). However, it was noted at that time that Orion/MPCV (Multi-Purpose Crew Vehicle) teams outside of JSC were speaking of December, 2013 at earliest, with a likely slip into 2014. When NASA officially announced the mission, an “early 2014” date was listed, as much as no definitive reason was given to the new placement on the schedule, although it is likely to be related to spreading program costs over a longer period. The latest launch date now appears to be Q2 (Second Quarter) or Spring, 2014 – as is expected to be manifested at the conclusion of the contract negotiations. While it is understood the schedule is not being impacted by the Orion set to fly – an uncrewed vehicle which continues to be manufactured at the Michoud Assembly Facility (MAF) in New Orleans – the entire EFT-1 deal has a large amount of in-built complexity due to the numerous cross-partnership deals in place for this mission. For the purchase of the required Delta IV-Heavy, Lockheed Martin have had to work a deal with NASA for purchasing one of the launch vehicles, a deal which is then updated to one between Lockheed Martin and the United Launch Alliance (ULA). Lockheed Martin and Boeing make up the ULA, the joint company is the body responsible for the Delta IV-H.
For the actual mission, a Joint Test and Mission Operations Team – consisting of NASA MOD (Mission Operations Directorate) and Lockheed Martin personnel – has already been approved, supporting the development phase of the mission, through the real-time test flight support operation and post test flight vehicle processing. Lockheed Martin are the contractor for Orion under a multi-billion dollar NASA deal, which has also undergone a huge amount of stress via the Constellation Program (CxP), its cancellation, and then the subsequent reinstatement of Orion into the new exploration program, which is mainly tasked with building the Space Launch System (SLS). SLS won’t be ready by at least 2017, meaning Orion – which was initially designed to ride atop of the much-different Ares I launch vehicle, a vehicle which caused numerous design changes to the spacecraft and visa versa – will have waited nine years to actually fly into space since its announcement as the Crew Exploration Vehicle (CEV), on a mission which will be at least five years before its debuted crewed mission with SLS-2. It has been argued that the main reason Orion has suffered from a troublesome childhood is due to political/funding issues, as was intimated during the Augustine Commission’s review into NASA’s Human Space Flight program, which deemed Constellation to be technically sound, but lacking in funding to achieve pre-scheduled milestones. Although Orion has been re-tasked as a Beyond Earth Orbit (BEO) spacecraft, it is likely its commercial sister, SpaceX’s Dragon – which also has BEO ambitions – will have already travelled to the ISS several times by the time Orion launches on its debut. 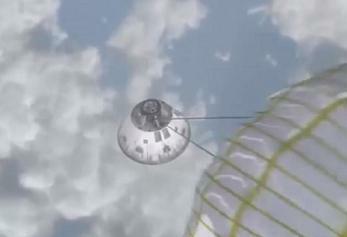 This mission – involving two orbits to a high-apogee, with a high-energy re-entry through Earth’s atmosphere on what is a multi-hour test, testing critical re-entry flight performance data and demonstrating early integration capabilities – is required, as outlined in a released document setting out the “Justification for other than full and open competition” for awarding the contract for EFT-1 to Lockheed Martin Space Systems Corp.
“NASA has a one-time requirement for critical performance data from an integrated flight test of the Orion spacecraft as part of the Orion Design, Development, Test and Evaluation (DDT&E) phase,” noted the opening remarks. “The EFT-1 is an early test flight required by early 2014, of the Orion spacecraft that is currently being developed by Lockheed Martin. 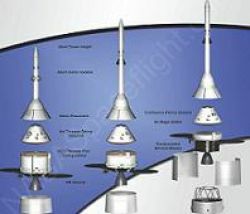 The document also points out that the EFT-1 schedule is directly associated with the milestone of Orion’s Critical Design Review (CDR), which is currently set for April, 2015. “The CDR is a critical DDT&E milestone, where the contractor discloses its complete spacecraft system design in full detail, identifying areas where technical problems and design anomalies have been resolved,” the document states. With the support of EFT-1 for the CDR process, those testing elements which cannot be conducted on the ground or via simulations will provide NASA with “significant risk reduction” whilst “providing an opportunity to identify technical problems and design anomalies” – directly feeding into the EM1 (Exploration Mission-1) Orion which will launch on SLS’ debut mission in 2017. The document went on to focus on the contract, noting both Boeing and SpaceX did respond to the original solicitation. However, they were only in a position to offer the launch vehicle capability, as opposed to the full “end-to-end EFT-1 effort” required by NASA. Several Orions were – and continue to be – in various stages of testing and manufacture across the States in 2011 and through to 2012 – such as the vibration testing at Lockheed Martin’s Denver facilities and the water drop tests at NASA’s Langley Flight Research Center (LaRC), since completed – along with the EFT-1 work at MAF. (Images: Via L2 content, NASA and ULA). L2’s new Orion and Future Spacecraft specific L2 section includes, presentations, videos, graphics and internal updates on Orion and other future spacecraft.